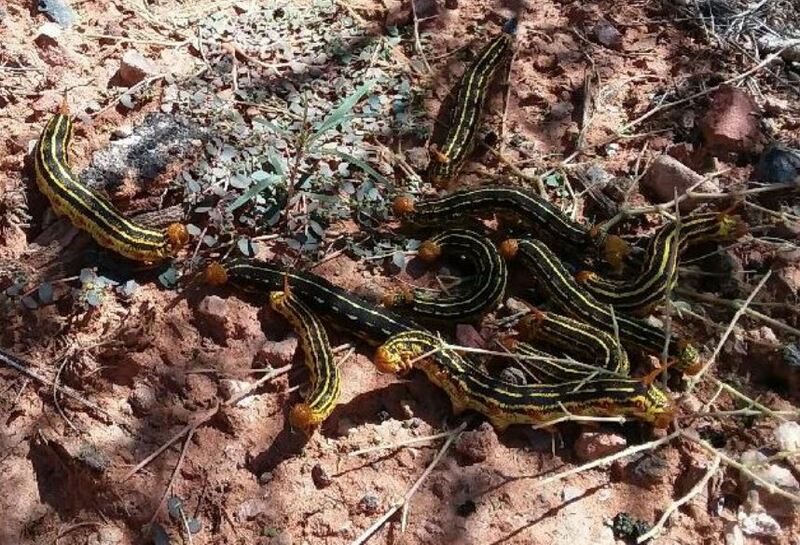 ST. GEORGE — Two weeks ago, people in Snow Canyon State Park noticed something they’d never seen before, thousands of brightly colored caterpillars making their way across roads and trails. Hyles lineata, better known as white-lined sphinx, are common in the canyon, but not usually in such large numbers. The mass movement has since tapered off, but the caterpillars can still be found on plants and trails, sometimes as many as four to six on a plant. Most of them are located on the first half mile of the paved trail starting at the south entrance and on the Jenny’s Canyon trail, Comella said. White-lined sphinx caterpillars are also recognized as hornworms because of the horn that sticks up at the end of their body. They are black with yellow stripes and can grow to be up to five inches long. 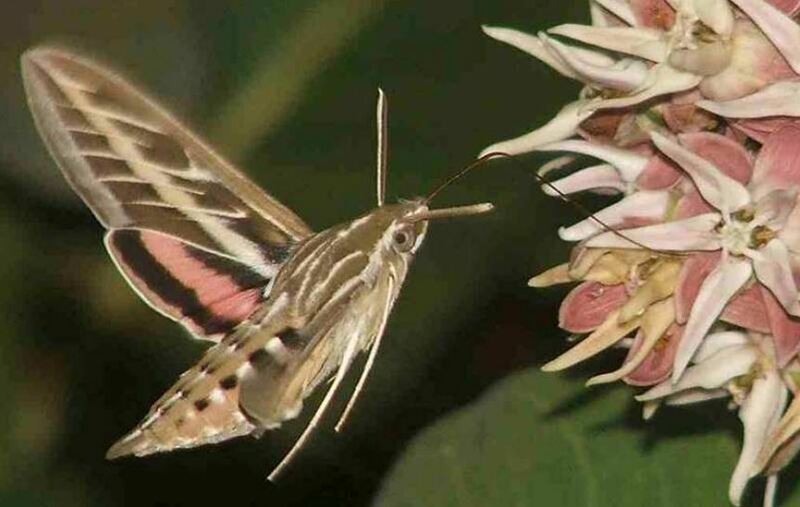 White-lined sphinx can be found in all North American deserts, according to Desert USA. When alarmed, the caterpillar rears up its head and emits a thick green substance from its mouth to scare away predators. The caterpillars have begun their feeding stage, leaving some of the park’s annual plants stripped of leaves. Comella said that while the caterpillars have damaged some vegetation, it hasn’t been enough to cause concern. The caterpillars are feeding to prepare for metamorphosis, where they will burrow underground for two to three weeks before digging their way back out as moths, according to a National Park Service article. The moths mate shortly after emerging from the ground and then lay as many as 1,000 eggs on the underside of a leaf which hatch in only a few days. After completing their roles in the reproductive process, both male and female moths die. During their brief lives, the large, nocturnal moths come out around dusk to drink the nectar of desert flowers. They are efficient pollinators, and the pollen they transfer from plant to plant helps flowers such as sacred datura, jimson weed and primrose, thrive. “If it weren’t for these moths moving from plant to plant, drinking nectar, moving that pollen along with them, we may not have some of these species of plants here in the canyon. So they’re very beneficial in the park,” Comella said. White-lined sphinx moths are large, with wingspans of five inches or more. They have brown forewings and pink hind wings. Because of their size, bird-like flight patterns and ability to hover they are sometimes mistaken as hummingbirds and have sometimes been called hummingbird moths or hawk moths. As far as why there has been a sudden burst of white-lined sphinx in Snow Canyon, Comella said their best guess is the higher than average rainfall the park experienced this summer which caused more vegetation to grow, and therefore, thousands of big caterpillars arrived to eat them.